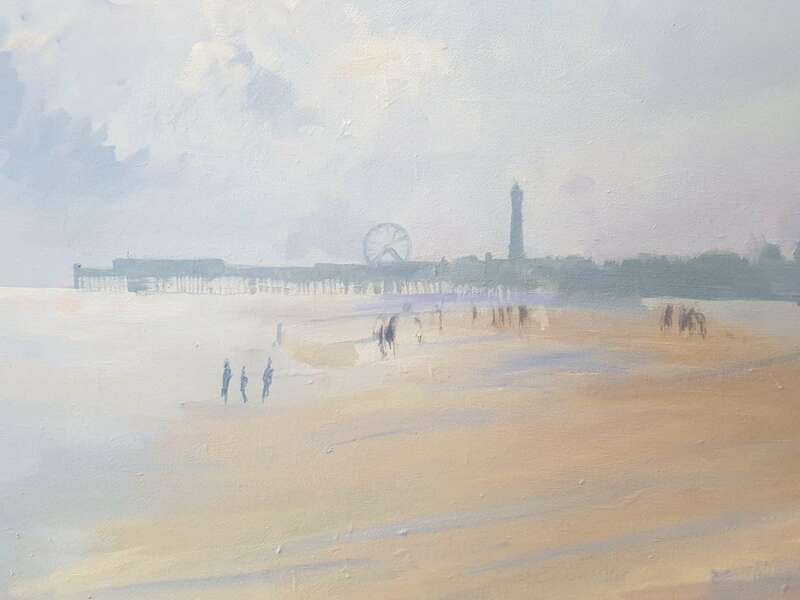 Painting: Lancashire (Blackpool) beach with figures. Original fine art. I wanted to get a feeling for the wide open spaces of the seafront at Blackpool. 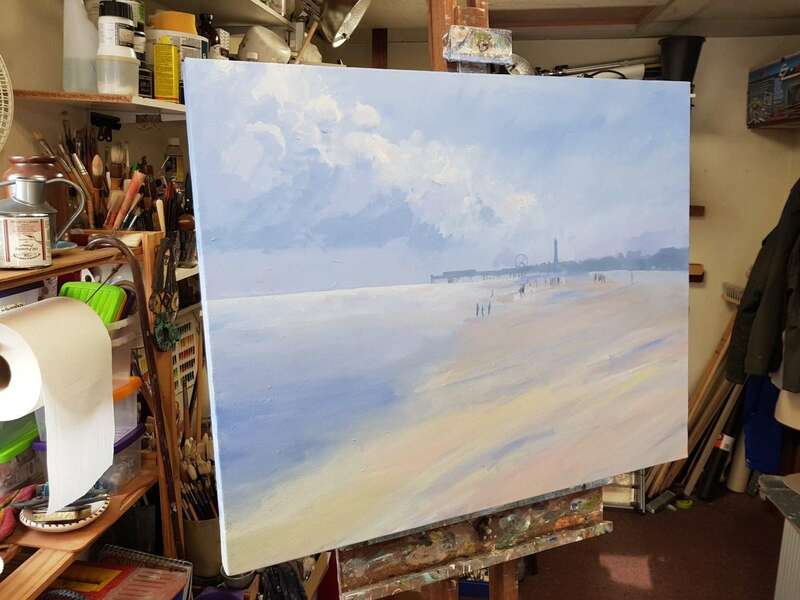 I liked the windblown sand in the foreground and wanted the painting to show how smooth it looked. Most of all I wanted to depict the mist that started to roll in from the sea, making the distant figures look somehow ethereal and ghostly. 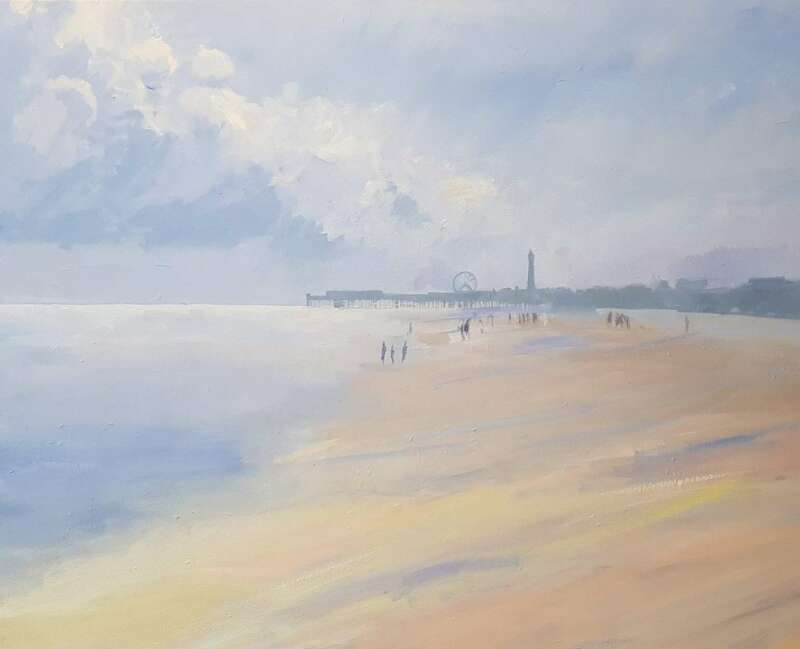 As I was painting, I was conscious of owing a debt of gratitude to David Cox, whose painting ‘Rhyl Sands’ is in the Tate Gallery.